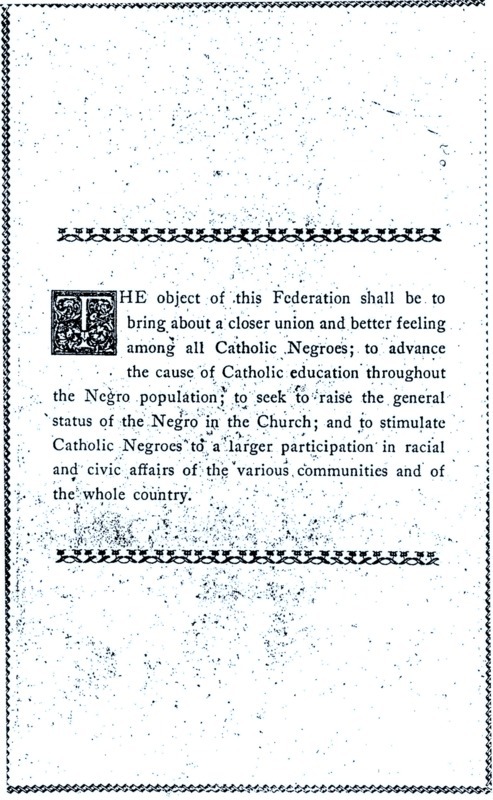 This short statement sets forth the objectives of the Federated Colored Catholics as they were envisioned in 1925. The method of attaining the ideals expressed here was often debated during the controversies that sometimes plagued the organization. Yet, these principles remained central throughout its evolution. Which of these objectives focus on internal church relations between blacks and whites and which of them deal with wider social issues? How do you think the FCC might achieve these objectives? How did the historical relationship between African Americans and the Catholic Church in the United States in the 19thand 20th centuries shape the objectives of the FCC? Do you think the objectives of the FCC as stated in 1925 are relevant to race relations in America and in the Catholic Church today?